If there was a single, overarching theme at the NAB Show in April, it was that the “IP Revolution” is under way. How that revolution will play out, however, creates plenty of question marks. Late last year, two organizations were formed to advance adoption of standards for the industry’s SDI-to-IP transition: AIMS (Alliance for IP Media Solutions) and ASPEN (Adaptive Sample Picture Encapsulation). It quickly became apparent that AIMS, comprising more than two dozen organizations (including Grass Valley/Belden, Imagine Communications, and SAM), and ASPEN, led by Evertz and including another three-dozen-plus vendors, were positioning themselves for an old-fashioned format battle. Throw in Sony’s NMI (Networked Media Interface) and NewTek’s NDI (Network Device Interface) proprietary formats, and the future of IP becomes even hazier for your average broadcast Joe. As explained by Jim DeFilippis, the AIMS platform is built on SMPTE 2022-6 as a method to use standard IP packet distribution for live video, and AIMS plans eventually to use Video Services Forum’s (VSF’s) technical recommendation TR-04, which promises to standardize the packetization of individual video, audio and associated data. ASPEN, meanwhile, is built around a proprietary Evertz method based on MPEG-2 transport over IP and is currently documented via RDD 37 (registered disclosure document) and SMPTE ST-302 and -2038. However, this standards battle took an interesting turn in the days leading up to NAB 2016, with Evertz and Sony announcing that they were joining AIMS. So what does this mean for ASPEN and NMI? And how does this change the game for broadcasters looking to make the move to IP? 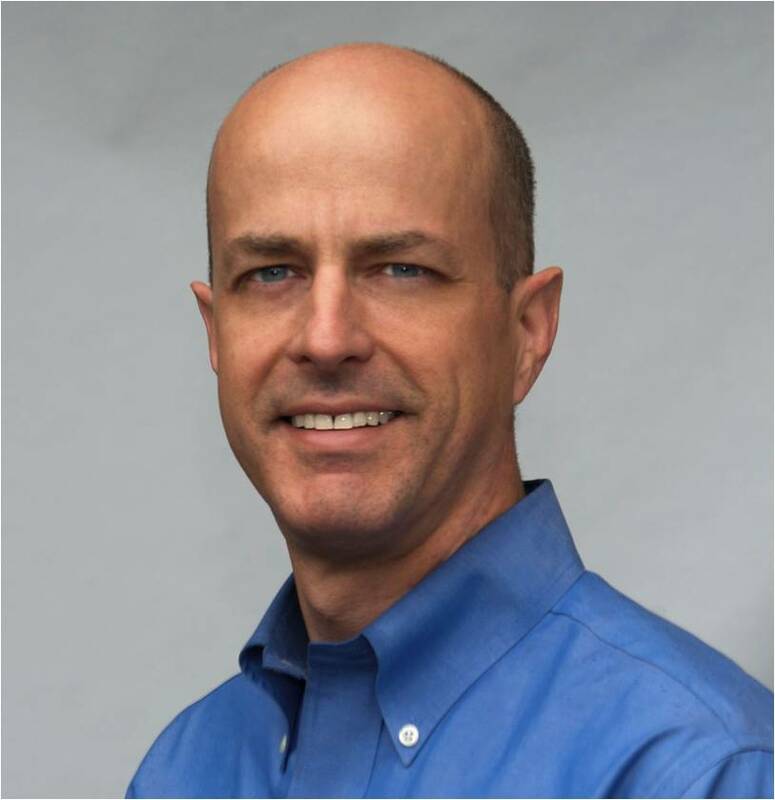 Following the NAB Show, SVG sat down with Grass Valley VP of Core Technology Mike Cronk, who serves as the chairman of the AIMS Board, in an effort to sift through the standards noise and get the AIMS perspective on Evertz’s and Sony’s joining the alliance, the advantages of transitioning to IP, how broadcasters can leverage their existing SDI infrastructure in an IP world, and whether a true end-to-end IP ecosystem is possible today. From your perspective, why did it make sense for Evertz to join AIMS, especially given that the company has put so much work into advancing ASPEN as the broadcast-industry standard for IP? I can give you my perspective based on our work within AIMS and our interaction with Evertz through that process. First of all, Evertz was part of ESPN’s DC2 [Digital Center 2 in Bristol, CT] project a couple years ago, well ahead of the curve, and they’ve made a tremendous contribution to the industry with some great technology. Today, Evertz has reported that there are 40-50 sites that have installed Evertz EXE routers, and [the company has] been a clear leader in IP routing. Within AIMS, we counted about 80 installations worldwide with SMPTE 2022-6 at the time of NAB in April. Leading up to NAB this year, those two formats, ASPEN and 2022-6, seemed to be on this collision course to many people, so [the] question was what’s the industry going to do? However, from a roadmap perspective, AIMS isn’t just about SMPTE 2022-6 but [about] the VSF recommendations TR- 03 and TR-04 as well. TR-03 and TR-04 are in a SMPTE drafting group now and, once standardized, will be known as SMPTE 2110. These technologies enable separate video, audio, metadata essence and have quite a bit of technological advantages over anything that’s currently deployed in the market. I think people have recognized that VSF TR-03 is the “handwriting on the wall” and SMPTE 2110 is going to become the standard. Therefore, companies like Evertz and Sony are inclined to support it. Two completely different things come out of SMPTE: a standard and an RDD, a registered disclosure document. If you read page 1 of any RDD, it says actually in bold capitalized letters, ‘This is not a standard.’ In our industry, there is a lot of messaging flowing out there that says, ‘This is a standard,’ but it’s really not a standard unless it’s actually gone through the complete standards process. SMPTE 2110 will get morphed here and there as everything that goes through SMPTE does, but VSF TR-04 and VSF TR-03 provide a firm, solid foundation for SMPTE 2110, which will be the future of IP for broadcast. Again, I think it’s the realization that, in the end, as people start to implement TR-03 and TR-04 and, eventually, SMPTE 2110, that’s what the industry’s going to demand. It has all the advantages of any of the existing options, but it will be a true standard, and so that’s the way to go. Evertz is an industry leader, and they see that this is where the industry is going, so they want to be a part of that. ASPEN is a great technology that’s been very useful in the industry, but the endgame is TR-03 and then SMPTE 2110. From my perspective, that is likely in large part why Sony and Evertz elected to join AIMS. And how does Sony NMI (Networked Media Interface) and NewTek NDI (Network Device Interface) play into all this? Those are what I would call alternative proposals. So Sony NMI, like ASPEN, is based on RDDs, but it’s not a standard. Sony has a rich heritage in proposing and developing technology for video transport and was heavily involved in [the development of] SDI. If you’re speaking one of these protocol languages, to get to the other one, you’re going to have to translate at some point. And then, at some point, as you look at overall system cost down the road, you don’t want to have to be doing translation all the time: it adds cost, complexity, and another potential point of failure. In any pioneering area — and this is most certainly a pioneering area for broadcast — there are going to be different, opposing options, and then you’re going to hopefully get to one way of doing it, and that’s what AIMS is certainly advocating for. And clearly it seems that, with companies already involved with AIMS and with Evertz and Sony now joining, TR-03 — as it morphs into SMPTE 2110 — is that direction. But in the meantime, obviously, companies have products to sell, and they’re going to talk about their migration path. If Evertz can deliver [ASPEN] today and people can use it, it is certainly an option to be considered. How far along are would you say we are in the SDI-to-IP transition? Still in its Infancy? Nearing adulthood? [At NAB 2016] , within AIMS, we counted 80 systems deployed with a combination of SMPTE 2022 and/or AES67 in real customer sites doing real work. We had interoperability with 16 companies in one booth, competitors interoperating with each other in IP. Grass Valley, Imagine Communications, SAM, and other AIMS companies all had big contingents interoperating at their booths. The target for the second half of the year and at IBC is to show more interoperability with TR-03 and TR-04. Knowing product schedules from my own company and discussing others’ product schedules within AIMS, I think that VSF TR-03–based systems are going to be a reality this year. I think the SMPTE standard 2110 will probably be out sometime next year, but that just requires tweaks on existing implementations that are pretty easy to modify with a firmware upgrade or something along those lines. So I think you’ll see real TR-03–based implementations with interoperability tests this year. I don’t think it’s an extremely long timeframe. So you can confidently tell customers that, if they commit to TR-03–based technologies today, they will be set for SMPTE 2110 and what is to come in the near term for IP? Yes, certainly. There’s nothing foreseen that would cause that to change. Most companies are saying, if you have 2022-6, we can upgrade you. So to go from TR-03 to 2110 is even less of an issue. As long as you’ve taken a modern architectural approach, you should be fine. Do you believe a true end-to-end IP broadcast ecosystem is a reality today? If not, what holes in the IP ecosystem represent the biggest hurdles? I think it’s fair to say that there are still some holes that need to be filled. Until NAB, it was all about [that] Evertz is ASPEN and Sony is NMI and Grass Valley is SMPTE 2022-6. But, if you look at most [production] trucks, there is a lot of Evertz infrastructure, there are a lot of Sony cameras, and there are a lot of Grass Valley switchers. So they all speak IP, but, before NAB, they were all speaking a different protocol. That’s why I think it was extremely fair to say it was not [a complete IP ecosystem]. But, at NAB, Evertz said they will do TR-03, and Sony joined AIMS and is on that path. Also, EVS has been a strong AIMS supporter from the early days of AIMS. More and more companies are implementing more IP products at every big show, so I don’t think it’s going to be very long. I know that, today, Grass Valley can put together a soup-to-nuts [IP solution]. That’s great, but we understand that what customers really want to see is multivendor compatibility. And I think that the gap is going to be closing here pretty quickly. For example, NEP Netherlands is doing their remote production with Grass Valley cameras that speak native IP going to a SAM product in a central location that speaks native IP. So, right now, we can certainly put together multivendor production installations with 2022-6. I think you’ll start to see that with TR-03 and TR-04 in the second half of this year. How do broadcasters and production facilities make the transition to IP without having to abandon the baseband investment they have already made? At Grass Valley, we have met with literally multiple hundreds of customers over the last two years regarding IP transitions. With the exception of the truck market, which is always building new trucks, greenfield opportunities for fixed facilities are the exception, not the rule. So we are trying to make that [SDI-to-IP transition] as painless as possible. For example, If you buy a camera, our XCU (eXchangeable Control Unit) base stations can support IP or SDI. So you can plug in SDI today, and, when you have the infrastructure to plug in IP, you can. Our GV Node [IP processing and routing platform] can have either IP or SDI I/O. With our switcher, you can have IP cards and SDI cards. The K2 server for Dyno [replay] has the same amount of video SDI connections, but it also has 10-gig IP ports, so you plug in what you need. There are different gateway products to help bridge things. You look at a facility and your requirements, decide where you’re going to migrate [to IP], and then incrementally connect what you need to IP and grow and expand that over time. What advantages does transitioning to IP offer sports broadcasters? IP gives you flexibility in a number of ways. Some of them are more applicable to a bigger network with a larger facility that is doing more events and has lots of very spiky workloads; others are for smaller organizations. First, IP increases your capacity to process data because, when you can virtualize processing, it opens up the door to cloud-based or datacenter-based processing. If I can multicast all my signals and I can see those in processing units that are building multiviewer tiles, then I can pump those out anywhere I want. That means I can start to locate my facilities and equipment in a place that is more cost–effective, and I can take advantage of [my] network bandwidth to redistribute the workload and where I locate different operations. If I’m doing that with a large group, then, when one station is using the resources, the other station isn’t, so I can buy less resources and use them more efficiently. Those types of models are helpful when you’ve got a big organization with multiple stations or you’re a large broadcaster producing the Olympics or the World Cup. For those applications, production levels can be very spiky. The other advantage it gives you is the flexibility to expand as formats change. If you are looking to do UHD and HDR and you are in the SDI world, as bandwidth increases, you will need to go from 3 Gbps to 12 GBps to whatever is next. The problem is, that means a wholesale rip-out and replacement of your infrastructure. Whereas it’s a lot easier to upgrade the speed of your signaling if you’re an IP [facility] because it’s architected for exactly that kind of [transition]. The pace of innovation just keeps getting faster, so it gives you a better path to keep your facility somewhat future-proof. Third, if you want to create more over-the-top content and [distribute] more of your content to mobile, IP will make that easier as well. If your signals are all on IP, then you can look at your [distribution] models and easily make changes. On the other hand, if I’m the station and I’m just doing production the way I’ve always done it and I’m going to stay in HD for the next 15 years and I don’t need to send out that much content over the top, can I put in an SDI-based infrastructure and do just fine? Yes, that is still an option. And, if you look at SD-to-HD, that transition arguably took longer than 10 years, and there are some places in the world that are still doing SD. So IP doesn’t have to be for everybody. But, If the advantages fit and those make sense with your business needs, then it’s a great deal. So it really depends. How do you believe overall broadcast-industry sentiment toward and understanding of IP has changed since the NAB Show in April? I thought there was a lot more confusion regarding IP before NAB. A lot of people actually came up to me and said thank you and that, because of AIMS, there is less confusion than there was before. Now, we are by no means done, and there’s still a lot to work out, but, at least now, pretty much all the major players have said there’s a path to the future that we all agree on and we’re all going to go there. So now I see it as AIMS’s job to help make that happen in a timely fashion, to go from alignment to complete clarity so that the confusion diminishes over time. I think we’re making a lot of steps in the right direction.